The original road upon this piece of land was called Jalan Keladi. And Sims Avenue then was called Jalan Nanas. There is a mosque that had existed since 1966: which is 5 o’clock off this rectangular piece of site. Seems like many have yet to vacate premises. 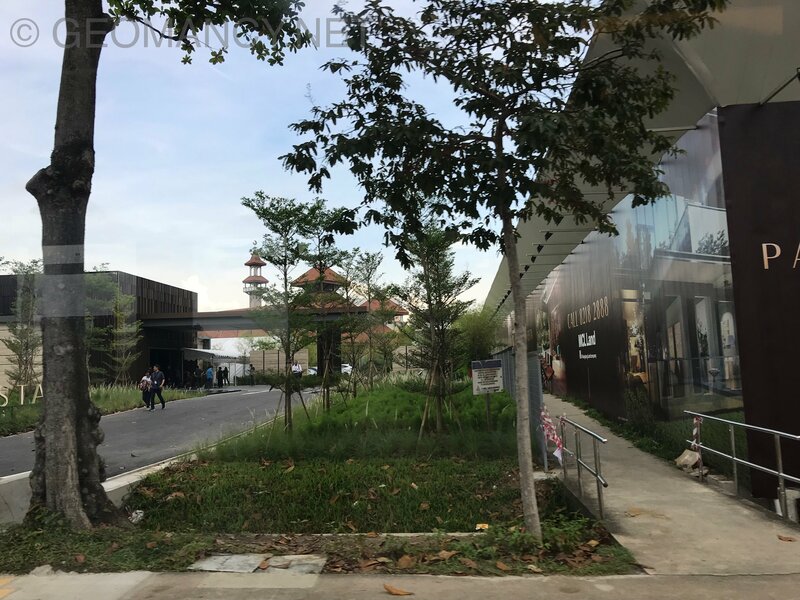 Frankly, if it is myself buying a unit there, I would still refrain purchasing a unit facing the MRT tracks. Maybe my standards are just too high! Interlude... since no site plan or floor plans available, yet. D-Day countdown by excited ERA agents... yells "Soon! Soon!" Yeah! "It's ours" Not Huttons! Hahaha! Yes, often, the standard is commission is not paid by the purchaser. Part 2: Symmetric block layouts such at if one were to fold the site plan into half and open it up, each half's tower block is a mirror of the other. 1. This is the typical old style block layouts. Much like a symmetric human's face of a beautiful or handsome person.. found in nature. 2. Under Shapes and Forms, this is favourable and thus the estate is pleasant to the eyes whichever direction one drives past it. 3. In addition, although the sides of the blocks are relatively close to each other, there is adequate space between blocks to consider them POINT Block (Tower Blocks). 4. POINT Blocks (Tower Blocks) usually means safe qi flow around each block. And blocks on opposite sides of the pools and facilities are furthest away from each other. 5. 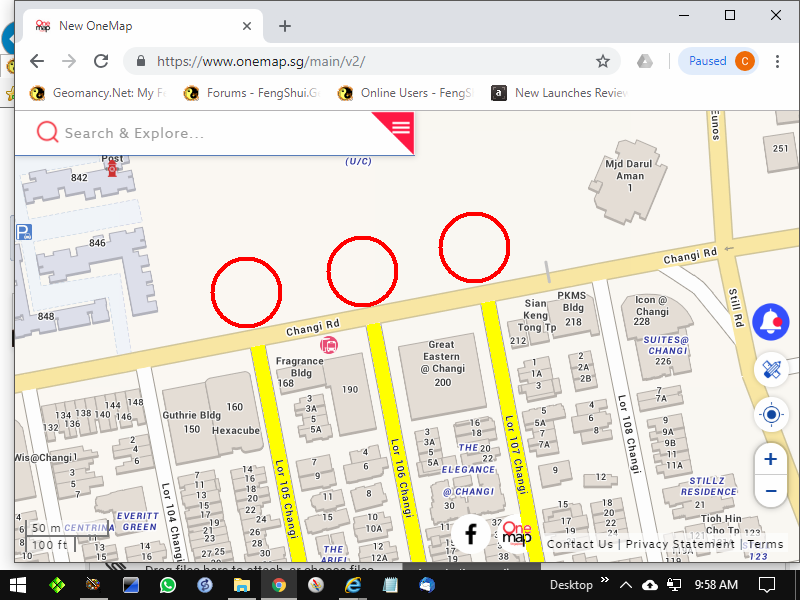 Negatives are the Changi Road, Sims Avenue & MRT Train noise. 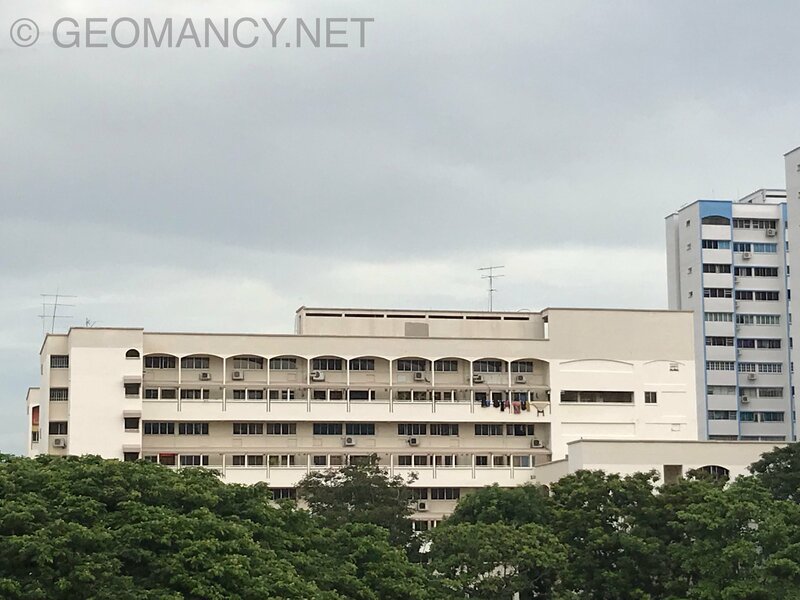 Hopefully MCL can follow the que of The Visionaire by installing sound buffers especially above each of the balconys of the ""North" facing units (Sims Avenue) to absorb part of the above noise levels. 5.1. And MRT place the newer more quieter trans. Much like at The Visionaire, where even without the noise deflectors at the tracks, the noise is thus futher minimized. 5.2. South facing units e.g. 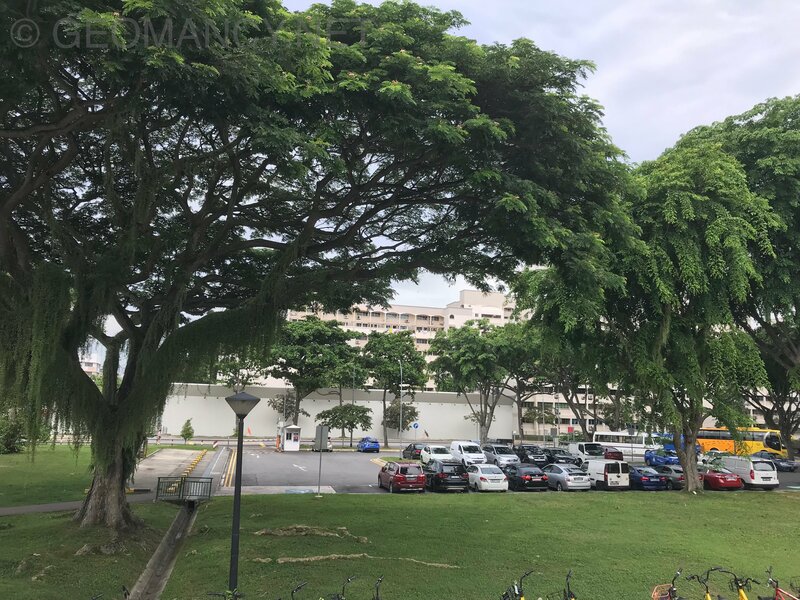 Changi Road, should also have false ceilings at the balconys of these units to reduce the deflected traffic noise. 5.3. Indirectly, white pollution such as traffic noise can also be considered as a kind of Shapes and Forms Feng Shui good or bad. 6. No wonder with uniform many uniform blocks: T.O.P. is expected to be fast at end of 2022. Given that there are a total of 1399 + 5 shop units. Thus this development is said to belong to Period 8 Flying Stars Fei Xing Feng Shui. P.S. This is not Feng Shui. But once upon a time Sim Lian was a main contractor for MCL in some of their past projects in the 1990's. 1. Low floors facing or next to Guard Post are often the last few to be sold. 3. 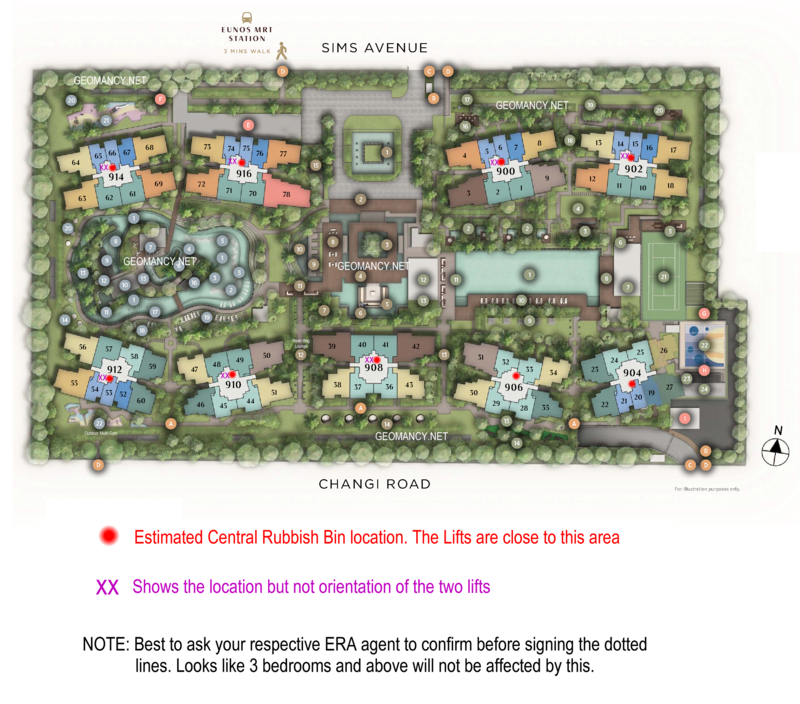 In addition, IF the central rubbish bin(s) [sometimes there are two: common & recycle (if any)] are located at the common lobby; before signing on the dotted line, insist from your ERA agent to get a copy of the common lobby layout plan to determine where the rubbin bin (is/are). 3.1. 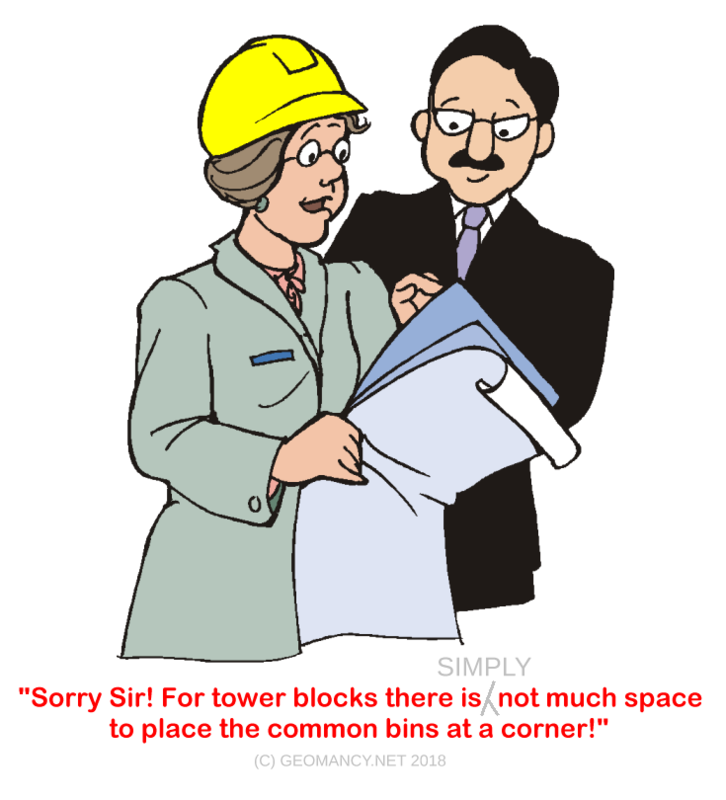 Avoid purchasing a unit with the bin beside the unit or directly facing the unit's main door. 1. In general, Blocks especially 902, 908 & 916 are truly North-South facing. 2. While the rest of the other blocks may not be exactly true North-South facing, but still generally aligned around this Northerly and Southerly directions. 3. This is a plus point. Given that if one studies geography: High and Low pressure zones can affect the wind-flow in a development. 3.1. The sea is directly facing South. While inland is North. 3.2. If one had studied geography, because of the sunshine and temperature variation cause High and Low pressure zones and vice versa between inland and the sea. 3.3. 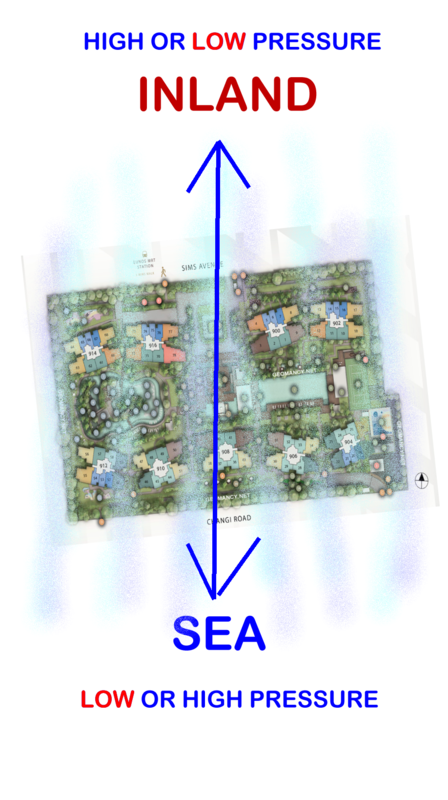 Thus for Parc Esta, this is what one would often get: windy conditions as shown in the wind-flow. Thus the wind will flow North-South or South-North directions. 3.4. Thus pockets of gaps between each block is good. But the gap should have been wider. Overall, kudos for this. 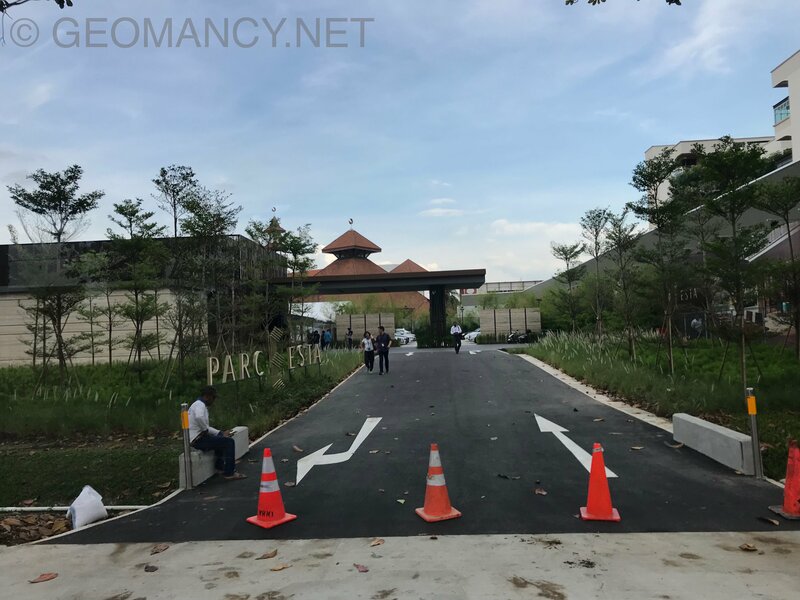 Instead of con-joint blocks like the previous enbloc layout plan. 3.5 Block 908 with stacks 39, 40, 41 and 42 has it's plus and minus. Plus because on normal days, it has good Shapes and Forms due to it's commanding view (other than the guardhouse). The minus is sometimes too "EXPOSED" and should there be STRONG winds; fortunes can wane for the owners/tenants. 3.5.1 It is just like a home on a hill with barren ground : no trees etc.. to tame the winds. Thus during very windy days, best to control the luck by reducing the amount of strong winds forced into the unit. Hi Cecil.. I have some question on the potential poison arrows given the design is such that each block is not directly facing another. For eg would u consider the edge of stack 42 to be a poison arrow to stack 30? also is it an issue with being next to the mosque? As the poison arrow (if any) are at the rear of the unit. Such as more often the yard, utility or kitchen area. It is not like it is aimed towards a living room opening. However, if there is a bedroom window at this “rear” of the unit, drawing the day curtains does help. 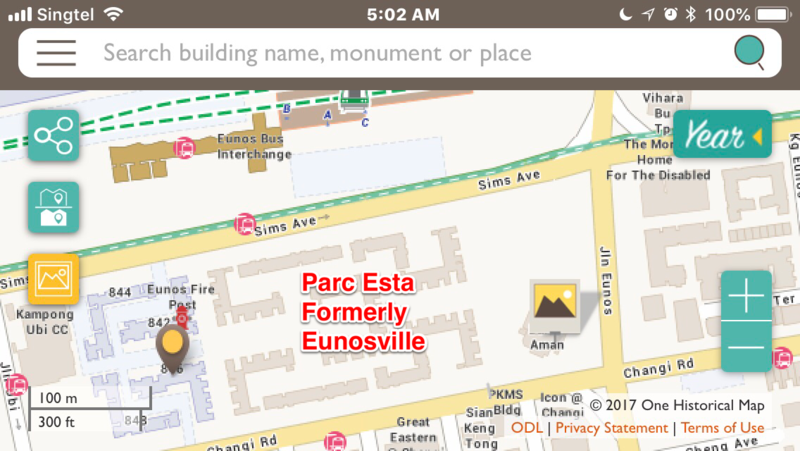 Part 6: Which Feng Shui Flying Star does Parc Esta belongs to? The estimated TOP date for this development is 31 December 2022. Thus, it should belong to Period 8 for the purpose of Flying Star calculations. 1. I have included a siteplan with the estimated location of the rubbish bin(s) & the two lifts. 2. However, please confirm with your respective ERA agent or ask him/her to provide you with the precise locations of the lifts and the rubbish bins in relation to it's orientation. 3. Looks like the larger 3 and 4 bedroom units are not affected by these bins. 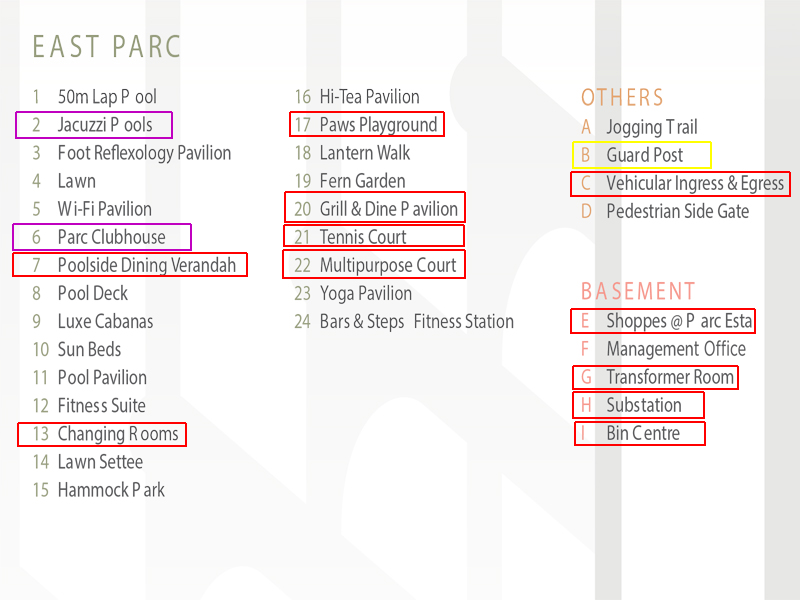 But do insist on taking a confirm look at the common corridor floor plan, before placing the Option fee, please! 4. The central rubbish bin(s) can affect the Feng Shui & also future resale value of the unit. 4.2. One cannot or should not be "standing outside" the unit "each day" to confront that neighbour.. may lead to bad...blood... and hopefully no blood letting...touch wood! Part 8 : HDB Eunos Blocks 842 and 846's service yard is facing to the side of Parc Esta's stacks #55, #56, #63 & #64 while the Block 904 is the closest to the mosque. And stack #18 has a side-view of the mosque (if one turns towards the left in the unit). 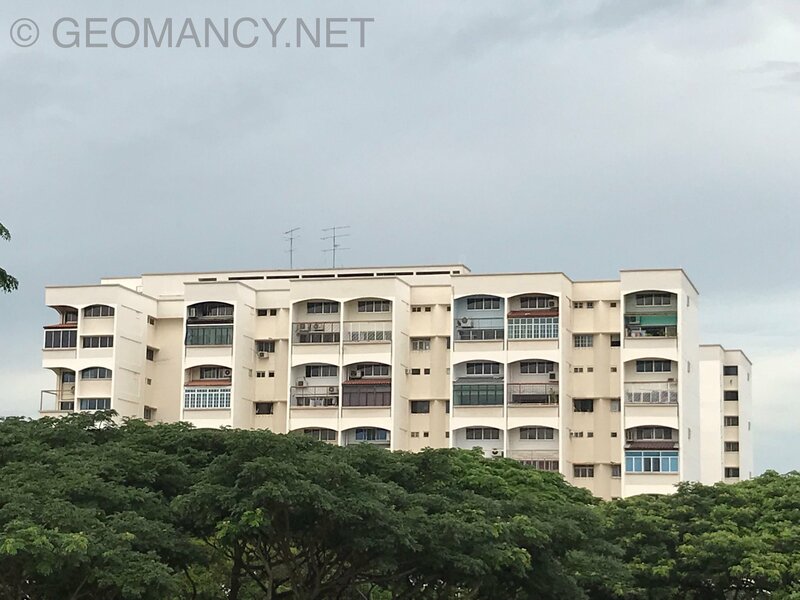 At the Changi Road side: Above stack 37 directly facing Lorong 106 Changi and stack 35 directly facing Lorong 107 Changi. No issue with Lorongs 105 given that no unit's frontage directly faces it. 3. Looks like the larger 3 and 4 bedroom units are not affected by these bins. But do check with the agent, please! Does that mean that we should avoid stack 40, 41, 48, 49 (given their proximity to the central rubbish chute) if we are looking to purchase a 2 bedroom premium? A little strange that they are promoted as the premium stacks (8 units per floor vs 9 units for the rest). Has anyone asked for the detailed orientation of the lifts and bins? You wrote: Does that mean that we should avoid stack 40, 41, 48, 49 (given their proximity to the central rubbish chute) if we are looking to purchase a 2 bedroom premium? "Bcos my old hse is near rubbish chute i didn't notice. 1st timer dunno blur blur. 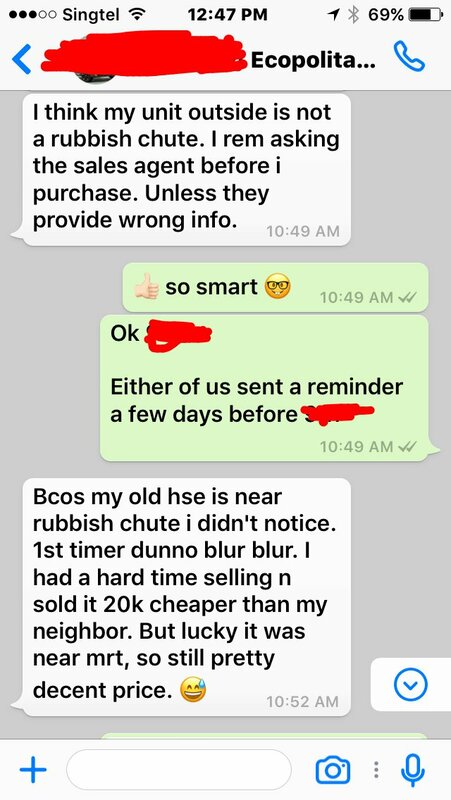 I had a hard time selling n sold it 20k cheaper than my neighbor....." Although this belongs to a HDB upgrader, even near not next to also can affect re-sale value..
1.2 In the above link I have given other reasons for not having a unit's main entrance door beside a rubbish bin chute at the lobby. 2. In the future, some buyers THEMSELVES and/or even potential buyers [PB] (if they do bring a Feng Shui master) along.. may ask the PB to skip such a unit or entire stacks with such a layout plan. 3. It is your entitlement to get your respective ERA representative to get the block plan with the lifts and rubbish bin(s). Else, skip this ERA rep. And demand for another one. Most of the time, the ERA rep will surely oblige. To them it's potential commission lost. 4. I remember clearly, a client who was about to book a premium unit at La Fiesta! And after I told him to check, he found out that really the the common rubbish bin is beside the unit! He managed to book another unit. Since, it is at the Option to purchase stage and he was about to hand over a cheque for the unit. 5. 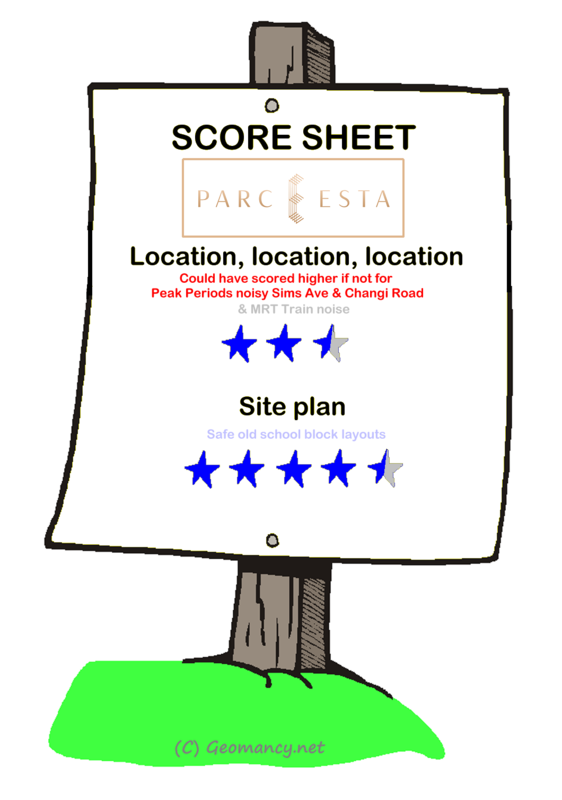 At PARC Esta one of my clients wanted to purchase larger units. And since they are not affected by the rubbish bin(s). He did not dig deeper into the actual location of these bins. Since they are clustered beside the central core area together within the lift area. 5.1. Thus what I am saying is do check for stacks 40, 41, 48, 49. Hopefully the units are not either beside or facing the bins. But if they do, then do think twice. 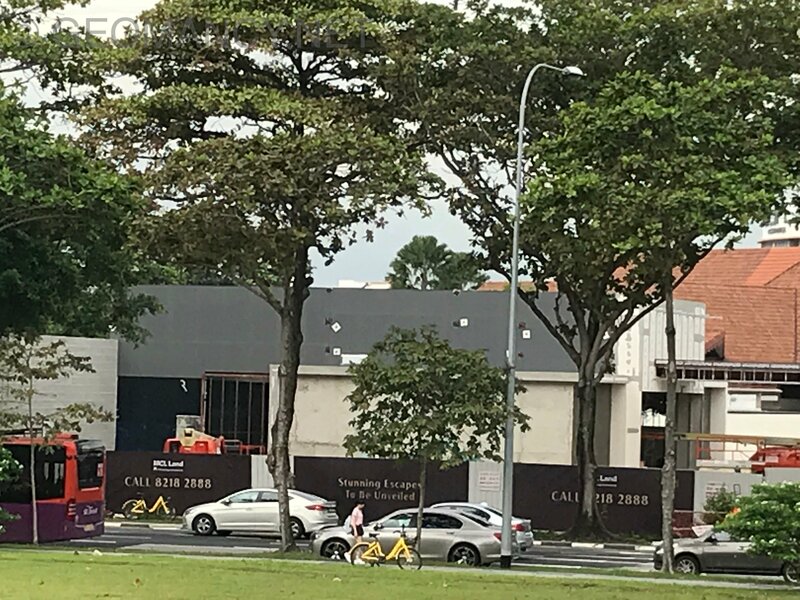 Question on the near-by mosque beside Parc Esta, the MRT and Main Road. Vacant plots of land are also another consideration. As often, religious activities and burning of incense are also held there. 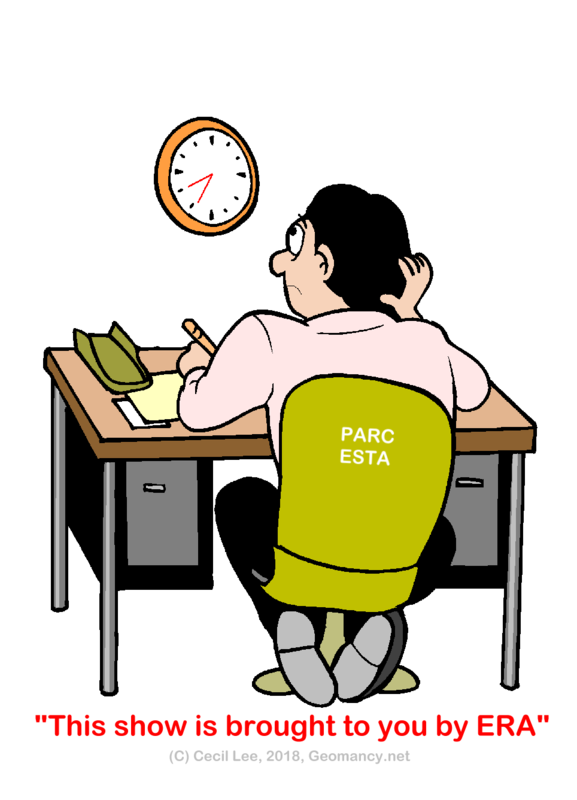 And is out of the Parc Esta's development control.